Fermion is a PostgreSQL compatible database cluster system. 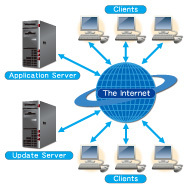 It protects data by synchronous replication and realizes scalability by multi-master replication. 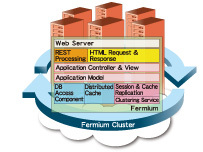 Fermium is a web application framework written in the programming language Erlang. 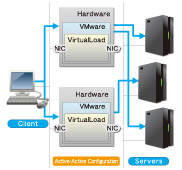 Virtual Load is load balancing software designed for virtualization environment. We propose new Linux-based rich client model. Murakumo uses a part of its profit to make donation for handicapped children and establishment. Copyright © 2011 Murakumo Corporation All Rights Reserved.